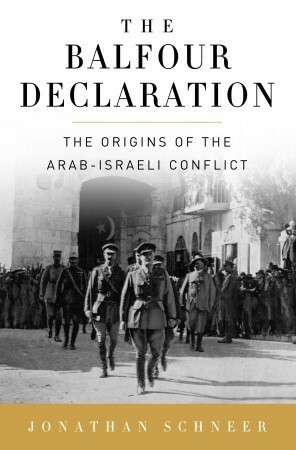 The late Tony Judt described this book as ‘the best modern history of the Balfour Declaration,’ and Eugene Rogan of Oxford sees it as ‘the most original exposition of the Balfour Declaration to date.’ It deserves a wide circulation as we live through the centenary of the Balfour Declaration on 2 November, 2017. The author, Jonathan Schneer, is an American historian who specialises in modern British history and teaches at Georgia Tech’s School of History, Technology, and Society. This is an attempt simply to summarise the contents of the book with a number of quotations. If it were a review, my only criticism of the book would be that, in concentrating so much on the politics behind the Declaration, there is no discussion of the religious beliefs of key players like Lord Balfour and David Lloyd George which made them so open to supporting Zionism. By the time the BD was issued on 2 November 1917, Britain and Germany had been at war for over three years. Millions had been slaughtered in the trenches and neither side seemed to be winning. The Battle of the Somme had been fought between 1 July and 1 November, 1916, and Passchendale between July and November, 1917. The British government was seeking for ways to turn the tide in the war. Some in the cabinet believed that all their energies should be concentrated on the western front on the continent (‘the westerners’), while others believed that new initiatives in the Middle East could break the deadlock and give Britain the advantage (‘the easterners’). After the fall of the Asquith government in December 1916, Lloyd George, an easterner, became Prime Minister. The BD therefore needs to be understood in the context of Britain’s desperate attempts to open new fronts and to find new allies in its war against Germany. ‘They aimed to win the First World War and to maintain their country’s place in the world’ (374). ‘They thought that the fate of the British Empire was at stake’ (161). ‘As soon as the Ottomans entered the war [November 1914], Lord Kitchener [British Consul General in Egypt] approached Sherif Hussein because he thought Hussein had authority to counter the Ottoman caliph’s call for Muslims to wage jihad against Great Britain and her allies.’ Britain offered Hussein inducements to join the British in defeating the Ottomans. The McMahon-Hussein Correspondence began in July 1915, when Sherif Hussein in Mecca approached the British in Cairo seeking help in his resistance to the Ottomans. Arab nationalism had started to develop in the years immediately before World War I, and the Damascus Protocol was drawn up in 1915 articulating aspirations for greater independence for the Arabs. Henry McMahon, the High Commissioner in Cairo, responded positively to Hussein’s request partly because the British believed that the Germans were seeking to win the Arabs over to their side. He was reluctant, however, to discuss the precise boundaries of the proposed independent Arab state. Opinions for over a century have been divided about the promises and commitments made by each side in the correspondence. The most crucial letter was sent by McMahon on 24 October 1915, in which he wrote that Britain would support the independence of the proposed Arab federation with borders described in the Damascus Protocol. Part of the problem arises from the fact that McMahon’s original letter was written in English, and the word ‘district’ was translated in Arabic by wilayat, a word which in Arabic has a much more precise meaning referring to an Ottoman province. The British and Zionists have argued that Palestine was not included in the area that would be part of the Arab state, while most Arabs have argued that Hussein understood that Palestine would be included within it. Did McMahon knowingly mislead Sherif Hussein about Palestine? Was this a case of ‘obfuscation and double-dealing’ (39)? While we cannot be sure, we do at least know what his motives were, since he wrote to a colleague: ‘What we have to arrive at now is to tempt the Arab people into the right path, detach them from the enemy and bring them on to our side. This on our part is at present largely a matter of words, and to succeed we must use persuasive terms and abstain from academic haggling over conditions’ (72). By the end of the correspondence both sides seemed willing to postpone discussion about borders, because Sherif Hussein ‘wanted the British on board as much as they wanted him’ (73). In this agreement Britain and France, which both had imperial ambitions in the Middle East, attempted to reach an agreement over how they would divide up the Ottoman Empire after the war. Mark Sykes was a Conservative MP who had travelled widely in the region and came to be regarded as the person in the government with the greatest knowledge of the Middle East. Francois Georges-Picot represented the French government. While Sir Edward Grey, the Foreign Secretary, held ‘a liberal imperialist viewpoint’, believing that Arabs and others could not govern themselves and that Britain should not seek to extend its empire in the Middle East, Mark Sykes and others had a ‘more sweeping imperialist outlook’, wanting ‘to enlarge the empire for political, economic, and strategic reasons’ (76). His aim in reaching the agreement, therefore, was ‘refashioning the Middle East to suit British imperial interests’ (48). ‘Together Sykes and Picot redrew the Middle Eastern map. We may picture them in a grand conference room at the Foreign Office, crayons in hand. They colored blue the portions on the map that they agreed to allocate to France, and they colored red the portions they would allocate to Britain. Within those areas they proposed that the two countries “should be allowed to establish such direct or indirect administration or control as they desire.” Since both parties coveted Palestine, with its sites holy to Christians, Muslims, and Jews alike, they compromised and colored the region brown, agreeing that this portion of the Middle East should be administered by an international condominium’ (79). The agreement was later endorsed, with minor changes, by Russia, and became known as ‘the Tripartite Agreement.’ The intention was that it would remain secret. Some believe that Sykes was negotiating in good faith. Others, more sympathetic to the Arabs, have regarded it as ‘a shocking document … the product of greed at its worst … a startling piece of double-dealing’ (85). A third group ‘accepts that British and French diplomats acted honourably by their own lights, but within a context we no longer find acceptable … Margaret MacMillan writes that the Agreement “was reasonable enough, if you were a western imperialist”’ (85). The problem they were wrestling with was how to ‘satisfy Arab nationalism in addition to British and French imperialism’ (86). When the text of the SP Agreement was made public by the new Bolshevik government in Russia, the Zionists in London felt betrayed: ‘We have been lied to and deceived all along … and I shall never forgive the gentry … who have done it …’ (223). But they used the agreement to demand from the British government ‘a written definite promise satisfactory to ourselves with regard to Palestine’ (224). Before the war the British public and the government were indifferent about Zionism, largely because Turkey was seen as a friendly power. The Jewish community included many assimilationists, who saw themselves as British Jews – Jews who happened to be British – and who believed that they could and should assimilate. The Zionists, who believed that Jews were a distinct people and nation and therefore worked for the creation of a Jewish homeland in Palestine, were a minority and divided into different groups: ‘practical Zionists’, ‘political Zionists’ and ‘cultural Zionists’, who argued for ‘a synthesis or practical, cultural, and diplomatic Zionism’ (114). Some of the assimilationists were strongly anti-Zionist. ‘Turkey gave British Zionists a reason to hope … Assume that Britain won the war against Turkey as well as against Germany and Austria-Hungary. The Middle East would drop into the melting pot at last. And then perhaps the ingot of Palestine could be pried loose from the great slab of Turkey’s Middle Eastern Empire … Zionism, which could undermine Turkey in the Middle East if given free reign, finally had entered the realm of practical politics’ (1124-5 and 126). During the war there was an intense struggle between the assimilationists (led by Lucien Wolf), and the Zionists (led by Weizmann), as both competed to win the support of the British government. He was born in Pinsk, Russia, in 1874, and came to a position at the University of Manchester in 1904, becoming a naturalised British subject in 1910. His work as a chemist specialising in explosives brought him to the attention of the War Office. ‘Balfour had immediately grasped the essential difference between Weizmann and other Jews he had met … “What a difference between you and [Claude Montefiore],’ he told Weizmann. “For you are not asking for anything … you demand, and people have to listen to you because you are a statesman of a morally strong state.” He added that he “regretted having known only Jews of one type.” As the meeting drew to a close and he led his guest to the door, he said to him: “Mind you come again to see me, I am deeply moved and interested, it is not a dream, it is a great cause and I understand it”’ (134-5). ‘Sykes clearly recognized in Weizmann the Zionist he had been seeking, while Weizmann immediately recognized in Sykes the highly place government official with whom Zionists could most effectively work… This was, in fact, the breakthrough moment for Weizmann and for Zionism. A crucial connection was about to be forged’ (177). Sykes came to believe, and told the Foreign Office, that ‘the Zionists represented “the key to the situation,” by which he meant nothing less than the key to victory in the war’ (168). Herbert Samuel to Sir Edward Grey: ‘Perhaps the opportunity might arise for the fulfillment of the ancient aspiration of the Jewish people and the restoration [in Palestine] of a Jewish state’ (125). ‘Weizmann and his colleagues persuaded powerful men in Britain, France and Italy that support of Zionism would benefit their wartime cause and the peace to follow’ (366). Nahum Sokolov to a private secretary at the Foreign Office: ‘It [is] to the advantage of Great Britain to have the Jewish element increase in a country next door to Egypt’ (109). ‘The British never believed that the Jews alone could alter the balance of the war, but they did come to believe that the Jews could help fund it; and perhaps more important, they could persuade mightier forces to weigh in or out or to stand firm. Many Britons in 1916, including policy makers, apparently believed in the existence of a monolithic and powerful Jewish factor in world affairs’ (152-3). ‘He [Curzon] and other cabinet ministers were increasingly worried that Germany intended to play the Zionist card herself. She would force Turkey to promote the autonomy of the Jews of Palestine. That would rally world Jewish opinion to the Central Powers and alienate them from the Entente’ (343). A.J. Balfour held the view ‘that recognition of Jewish nationality and establishment of a Jewish national home would raise the status, and therefore alleviate the treatment of Jews everywhere’ (3-7). Herbert Samuel to Sir Edward Grey: ‘It might become a centre of a new culture. The Jewish brain is a rather remarkable thing, and under national auspices the state might become a fountain of enlightenment and a source of a great literature and art and development of science … Raising their [the Jews’] character would add to their usefulness to the people among whom they lived’ (126). ‘There is no Jewish race now as a homogenous whole. It is quite obvious that the Jews in Great Britain are as remote from the Jews in Morocco or the black Jews in Cochin as the Christian Englishman is from the Moor or the Hindoo’ (Edwin Montagu) (146). ‘I assert that there is not a Jewish nation’ (Herbert Samuel to the Cabinet, 1917) (337). ‘When the Jew has a national home surely it follows that the impetus to deprive [him] of the rights of British citizenship must be enormously increased. Palestine will become the world’s Ghetto’ (Herbert Samuel in 1917) (337-8). The Zionist scheme, if implemented, “would not only aggravate the difficulties of unemancipated, and imperil the liberties of emancipated Jews all over the world, but in Palestine itself it would make for a Jewish state based on civil and religious disabilities of the most mediaeval kind, a state, consequently which could not endure and which would bring lasting reproach on Jews and Judaism. Indeed it could not be otherwise with a political nationality based on religious and racial tests, and no other Jewish nationality is possible”’ (Lucien Wolf) (150). ‘James Rothschild would urge Weizmann to “ask for something which … tends towards the formation of Jewish state”’ (143). ‘There are many Jewish nationalists in England who look forward to the establishment of a Jewish State in Palestine under the British crown’ (British Palestine Committee document) (204). Zionists replying to Wolf: ‘Special rights would be asked for and would be necessary,” Gaster explained, “till the Jews were so numerous, and in so large a minority, that they would predominate by weight of numbers.” As to how the Jews should enter Palestine, a Jewish Chartered Company with Britain’s backing “would take care that the Jews should be the prevailing settlers.” Sokolov added that if Britain established some form of control over Palestine, “she would clearly and obviously take such necessary steps as to secure that the Jews should be the predominant people in Palestine [and] that it should be their country. The one point followed from the other’ (149). ‘Crewe [the Earl of Crewe, Asquith’s Secretary of State for India] informed the British ambassadors to Russia and America that if the Allies did agree to court Jewish opinion, part of the inducement could be that “when in the course of time the Jewish colonists in Palestine grow strong enough to cope with the Arab population they might be allowed to take the management of the internal affairs of Palestine (with the exception of Jerusalem and the Holy Places) into their own hands” (160). ‘The British government could not choose one course without disappointing the advocates of the other. That did not stop them from choosing. They thought that the fate of the British Empire was at stake (160-1). Sherif Hussein began preparations for the Arab Revolt in early 1916, and the Revolt began in June 1916 with attacks on Turkish forces in Arabia. In the autumn of 1916 it was stalling. Allenby launched his offensive on Gaza on 26 October 1917, and on Beersheba on 30 October. He entered Jerusalem on 11 December. The Arab forces did not capture Damascus until nine months later, on 30 September 1918, and the delay in capturing Damascus had serious consequences. If the Arabs had captured Damascus before the BD was issued, it would have been very much harder for the British government to declare its support for the Zionist programme in Palestine. The Arabs would have been in control of all the land to the east of the Jordan, and their understanding was that the British had supported their aspiration for an Arab state which would include Palestine. ‘As the Zionists in London moved during the spring and early summer of 1917 to assert control over the Jewish community and to influence the Foreign Office, the Arabs pushed north from Wejh up to Aqaba. They intended to head into Syria proper and claim their homeland – almost certainly they thought that meant claiming Palestine. Had they reached Damascus before 2 November, 1917, it is an interesting point whether the British would have felt confident enough about the future of that territory to release the Balfour Declaration at all. The tragedy from the Arab point of view was that the war in the East moved at a significantly slower pace than diplomacy and politicking now moved in the imperial metropolis. It took Feisal much longer to blow up the Hejaz Railway, raise the tribes, help defeat the Ottoman Army, and enter Damascus than it took for Weizmann to arrange meetings with British politicians and vanquish the Conjoint Committee. Feisal did not move fast enough…’ (325). ‘The famous declaration bearing Lord Balfour’s name had been written six days before Gaza fell; it would be published the day after. The Arabs had lost the race for Palestine already, although they did not realize it’ (328). ‘It seems likely that T.E. Lawrence had developed genuine sympathy for Arab nationalist aspirations by early 1917. He saw too that they would run up against Zionist, French, and British aspirations… Lawrence had concluded … that Sykes had ceded too much territory to France. In other words, even before he knew its details, he objected to the Sykes-Picot Agreement both for Arab nationalist and for British imperialist reasons… He was “strongly pro-British and also pro-Arab.” But he increasingly came to realise that he could not be both, and the realisation wore him down’ (320-1). ‘… if we won the war the promises to the Arabs were dead paper. Had I been an honourable adviser I would have sent my men [Arab tribesmen fighting with him] home, and not let them risk their lives for such stuff. Yet the Arab inspiration was our main tool in winning the Eastern war. So I assured them that England kept her word in letter and spirit. In this comfort they performed their fine things but, of course, instead of being proud of what we did together I was continually and bitterly ashamed’ (323). In a letter to General Clayton, which was never delivered, he wrote: ‘We are getting them to fight for us on a lie and I can’t stand it’ (324). ‘Poor Lawrence of Arabia, Britain’s man on the spot, tore his soul into pieces trying to juggle his country’s and Arab interests’ (325). ‘Characteristically, Sacher thought Zionists should ask “for as much as possible.” “We must control the state machinery in Palestine. If we don’t, the Arabs will. Give the Arabs all the guarantees they like for cultural autonomy; but the state must be Jewish.” Sokolov overbore him and other maximalists. He remained in constant touch with Sykes; indirectly he had communicated with Balfour himself; and at this stage he knew better than his colleagues what the British government would accept and what it would not. The group must not submit an itemized wish list, he realized; certainly it must not even mention a Jewish state. “Our purpose,” Sokolov wrote … “is to receive from the Government a general short approval of the same kind as that which I have been successful in getting from the French Government.” (334). ‘1. His Majesty’s Government accepts the principle that Palestine should be reconstituted as the National Home of the Jewish people. His Majesty’s Government will use its best endeavors to secure the achievement of this object and will discuss the necessary methods and means with the Zionist Organization’ (325). In the following weeks there was a process of ‘revisings and rewordings’ within the government. The word ‘reconstituted’ was removed. Instead of ‘the National Home of the Jewish people,’ there was substituted ‘a National Home for the Jewish people.’ And the reference to ‘the Zionist Organization’ was removed. ‘Here then are three pieces on a historic chessboard: namely a never-absent, if never realized, desire on the part of some Turks for a compromise peace with the Allies; an occasional willingness on the part of some among the Allies to consider such an arrangement with Turkey; and an adamant opposition to any such thing on the part of most British Zionists. The maneuvering of these three parties during the lead-up to the BD is a significant aspect of our story. ‘Turkey and Britain had no sooner declared war upon each other than they opened secret negotiations to try to end it …’ (240). Negotiations of this kind went on in the weeks and months after the BD was issued. It appears that ‘the British government really did propose a continuing Ottoman presence, with flag flying, in Palestine, nearly three months after the BD was made public’ (359). ‘Sykes persuaded Picot that neither Britain nor France should govern Palestine, but rather an international condominium. Palestine was not “a twice promised land,’ as some have written, but rather a thrice-promised one: to the Arabs (or at least the Arabs thought so), to the Zionists, and to a prospective international consortium whose members had yet to be determined. ‘Nor is this the end of the very tangled web Great Britain wove for that eastern shore of the Mediterranean. To detach the Ottomans from the Central Powers would do more to win the war for Britain than anything connected to Arabs or Jews… It seems right to suggest that Palestine was not thrice-promised really. It was promised, or at any rate dangled as bait, four times: before the Zionists and the Arabs, before Picot and Sykes in the shape of an as-yet-unformed international consortium, and before the Turks, who would otherwise lose it as a result of the war. ‘Of course during most of our period, for imperial-economic-strategic reasons, Britain meant to keep the primary governing role in Palestine for herself … The Balfour Declaration was the highly contingent product of a tortuous process characterised as much by deceit and chance as by vision and diplomacy’ (368-9). ‘Because it was unpredictable and characterized by contradictions, deception, misrepresentation, and wishful thinking, the lead-up to the BD sowed dragon’s teeth. It produced a murderous harvest, and we go on harvesting even today … During World War I, then, Britain and her allies slew the Ottoman dragon in the Middle East. By their policies they sowed dragons’ teeth. Armed men rise up from the ground. They are rising still’ (370-6). ‘Since intrigue and double-dealing as much as bravery and vision were of its essence, the BD resulted not merely in celebration and congratulation but soon enough in disillusionment, distrust and resentment. Nearly a century later these bitter emotions remain; compounded over the years, they continue tragically, bloodily, to unwind’ (xxix). This entry was posted in Balfour, Christian Zionism, Human Rights, Israel, Middle East, Palestine, Peacemaker Mediators, Zionism and tagged Balfour on September 12, 2017 by Stephen Sizer.